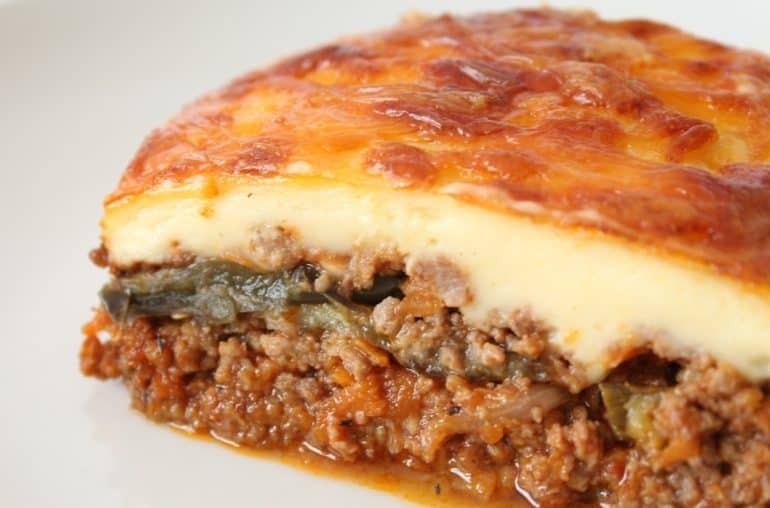 Perhaps we have been there once or even seen the film Shirley Valentine ( I know showing my age now) and wanted to taste a piece of Greece and the classic dish of course has to be a Classic Greek Moussaka Recipe. 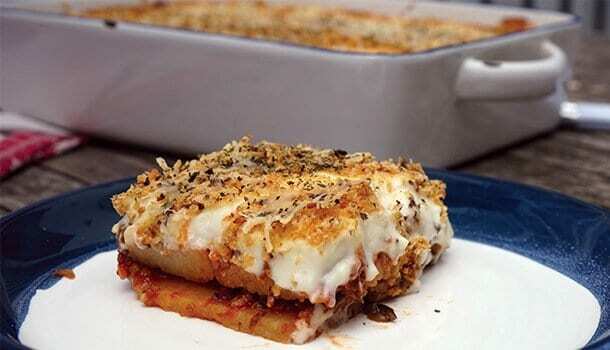 There are many regional variations lovingly prepared with lamb mince, herbs and spices a rich tomato sauce with aubergine and potatoes layered and topped with a tangy yogurt feta and egg crusty top baked in the oven. Wait is it, where do the layers of sauce go, potatoes at the top or do they go at the bottom ? is there even supposed to be aubergine in there and what mix of herbs and spices does one use, ???? Rosemary Oregano, Mint, I have one Classic Moussaka Recipe that my good wife uses and I dare not deviate from. I apparently I ruin many a good dish by fiddling with the ingredients. How are you supposed to get better than the wife’s recipe! The best recipe is down at the bottom, no real shortcuts unless you make it the day before you need it and then the flavours will be outstanding and to die for Trust Me ! 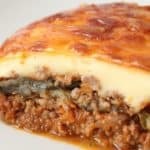 This Classic Moussaka will make enough for around 12 people, I make 1 to eat now which can serve between 2 to 3 adults and then the rest of the mixture I place into 3 oven proof dishes and freeze but without the yogurt and feta topping, that can be made and added on the day you take it out of the freezer. 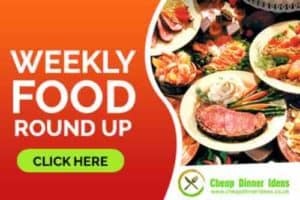 Not sure if this one can be classed as A Classic Greek Moussaka Recipe as this Huffington post version has Parmesan cheese in the topping. That classical Greek cheese !!! I think NOT, it has to be feta the classic Greek cheese. So come on Huff a little better please. 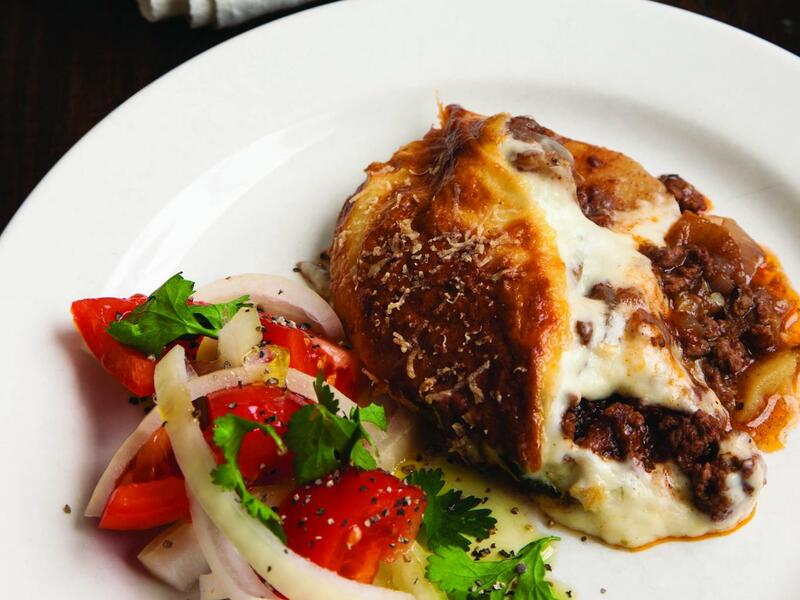 The Independant, now this is getting more like a Classic Greek Moussaka Recipe. However one is not to sure about the addition of courgette in there and the top wheres the cheese. OMG ! Now this looks nearly the business, it does say quick and easy but its not that quick. Taking longer means the flavours should develop better and give a greater depth of taste so. 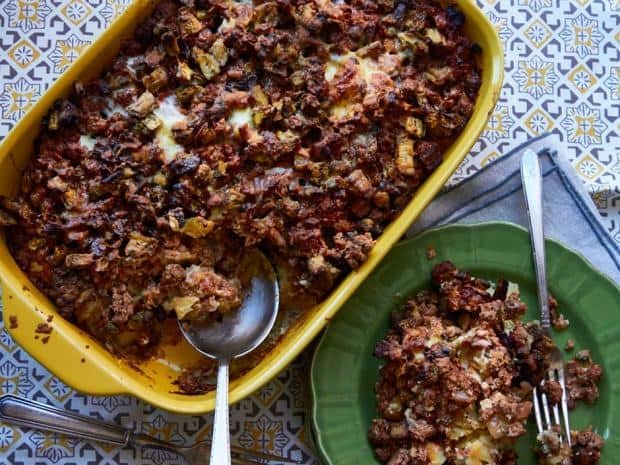 Quick and easy, make-ahead moussaka – Hamilton Spectator She had been cooking meals for the new parents, and collapsed into her chair saying she hadn’t finished making a moussaka before she had to leave. “You,” she said, “could do the world a big service by coming up with a quick and easy moussaka.”.